The High-Res will enhance our phone’s resolution. 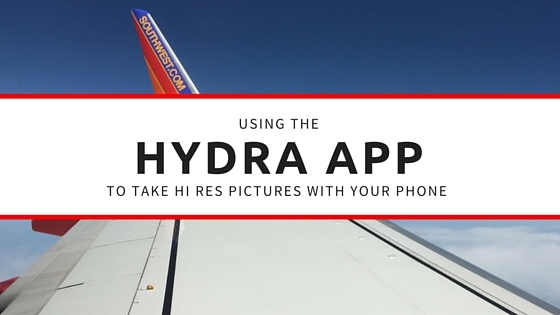 My iPhone 6 will take an 8 MP picture, but with the help of Hydra it will create a mega picture. Hydra will take anywhere from 20-50 pictures then stitch them to a 32 MP image. The details are greatly enhanced. It really amazes me how well app does. What does this mean? It means that you will be able to zoom in the picture in greater detail. This is especially helpful if you can’t get close to a subject. 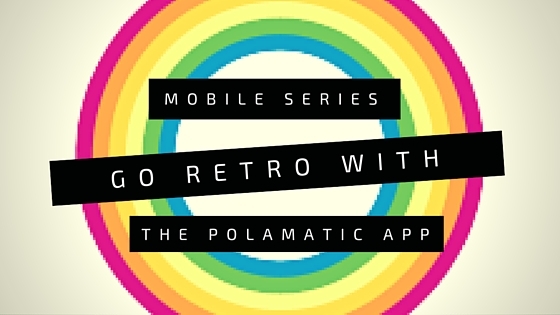 The zoom feature on most phones is digital and not optical. Digital zoom can distort a image the farther you zoom in. Which is something no one wants. 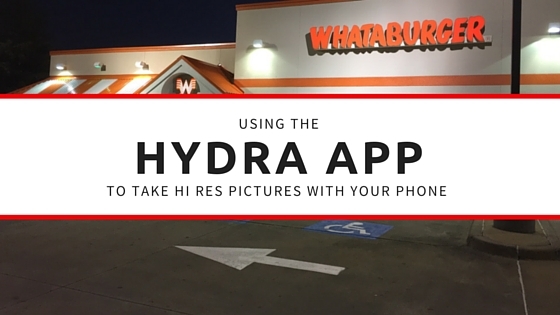 If you can take a picture with Hydra and enlarge and crop it to meet your needs. One thing to know about the High-Res images on Hydra. It must be of something standing still. If the subject is in motion it will not come out. Also if your hand shakes during the process it will not take the picture and will give you a warning about too much motion. You will have to retake the picture. If you practice some you will get great at taking pictures with the app. I have used the app a few times this past month. I actually forgot I bough the app. I get a ton of apps for photos and it goes in a folder. The picture on the right is the regular 8 MP picture, As you can see the image is blown up to maximum size and you can see the winglet is a little grainy. The image on the right is done on High Res with Hydra. Note you can enlarge the image a lot more. Its also smoother with less grainy appearance. 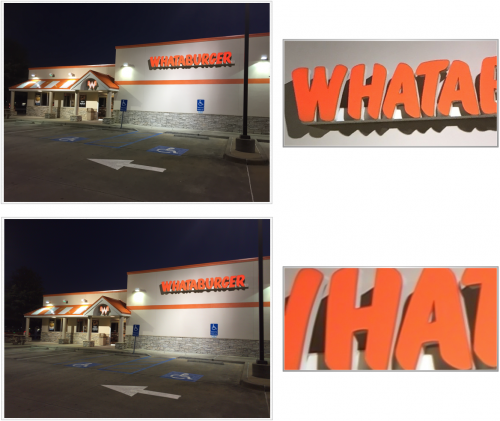 On a recent trip to Birmingham we went to the Whataburger and I took these pics at night of the restaurant. It’s one of my favorite restaurants, but we don’t have any in ATL! 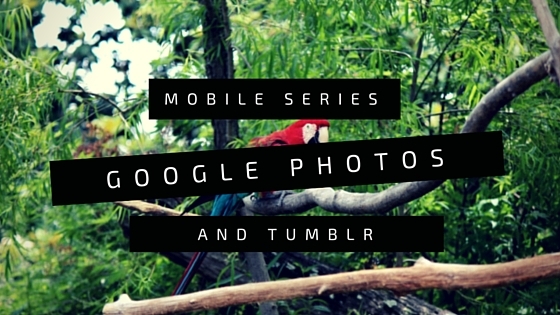 The picture on top is the regular picture taken with the regular camera at 8 MP. The Bottom is with The Hydra app. Similar to the Southwest picture it can be lagged much more and have greater detail. The app I used to make both graphics is called Napkin. I used the highest magnification on both sets of images as it would allow. In both of the Hydra pictures you can see a lot more detail and can zoom in farther. Plus the picture quality is great. Mix that with the HDR and Video the app is worth every penny. I highly recommend the app. It is in the must have category for me. I won’t forget about it again. The app is $4.99 and just an IOS app. To find out more about the app go to the developers website, Creaceed.